The Foundation’s education staff is off to a busy February! 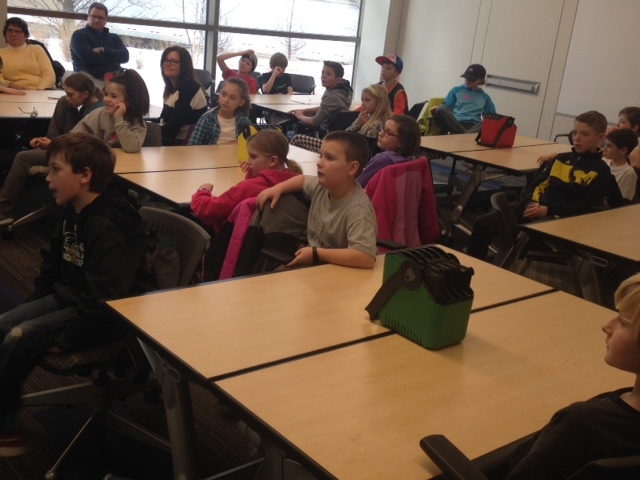 Over the last couple of weeks we’ve hosted students from Godwin Heights Middle School, Forest Hills Central Woodlands, Pine Ridge Elementary, and Collins Elementary. 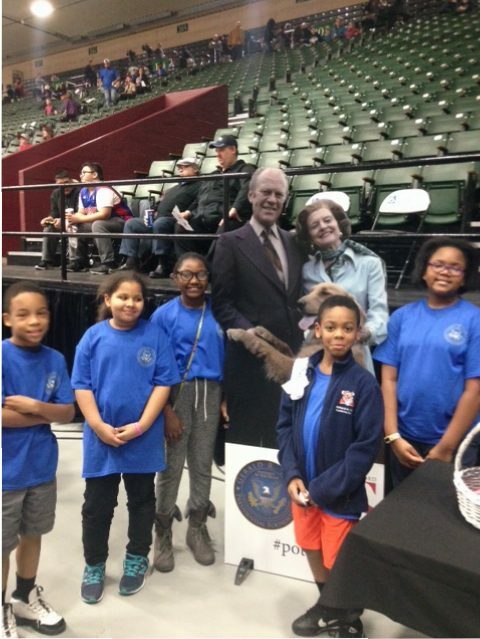 These awesome students have learned about becoming active citizens through the example of President Ford. 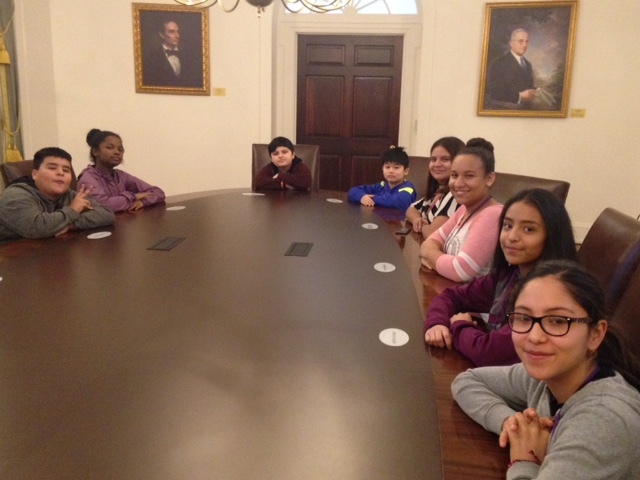 From touring the museum, to writing emails to their representatives in Congress, to becoming servant leaders by volunteering with Kids Food Basket – these kids are learning they can make a positive impact at any age. We also were pleased to host our second Boy Scout Citizenship in the Nation Merit Badge Day on February 4th. 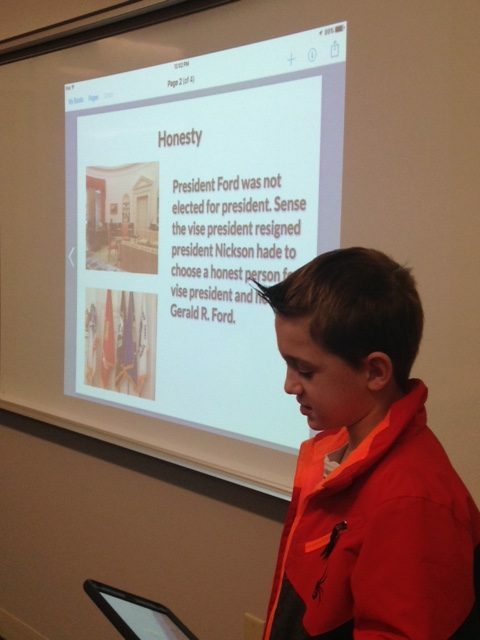 The Scouts put in a full day of hard work learning about what it means to be an active citizen in our country by learning about civic duties and responsibilities, writing to elected officials, and exploring the story of President Ford. We’ve been hard at work…but having a little fun, too! On February 1st, the Foundation sponsored a Grand Rapids Drive basketball game and once again invited the basketball team from Gerald R. Ford Academic Center to entertain the crowd with a half-time scrimmage. Great job, team!